Posted April 14, 2019 at 12:16 pm . 0 comments. 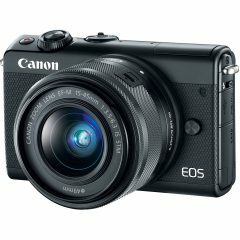 A deep discount on the Canon EOS M100 with 15-45mm f/3.5-6.3 IS STM (Black) — Ted’s Electronics via eBay has it for only $359.00. Note this is not an authorized dealer, so this is likely a grey market item for which a Canon USA warranty does not apply. This dealer does have very strong eBay feedback (99.9% positive). Compare with a regular price of $449 at authorized dealers.